Studies done in various countries have found that certain intersections are very daunting for some drivers. Where you get a lot of traffic passing through and needing to go in different directions intersections can not only be complex in their multitude of off-ramps and on-ramps, but also be wide enough to make lane selection difficult – the Northwestern Motorway heading into Auckland is one such place. 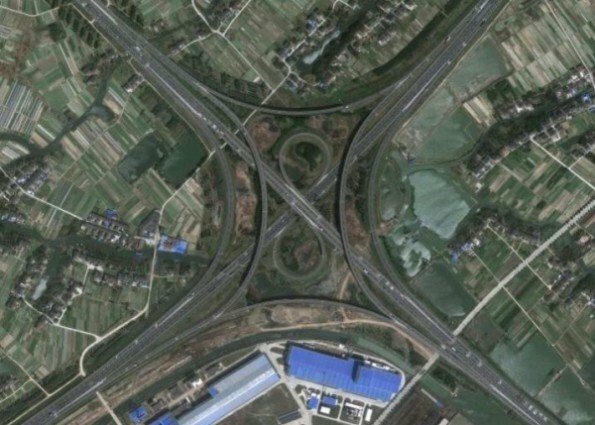 So let’s start there and then take a look at another 13 intersections from around the world that require a huge amount of concentration to navigate. Skirting the south-central CBD from west to south and wrapping its arms up towards the port and the Harbour Bridge the CMJ was originally conceived over 50 years ago. Most of it was built in the 1960s, but it’s only recently been finished (2006). 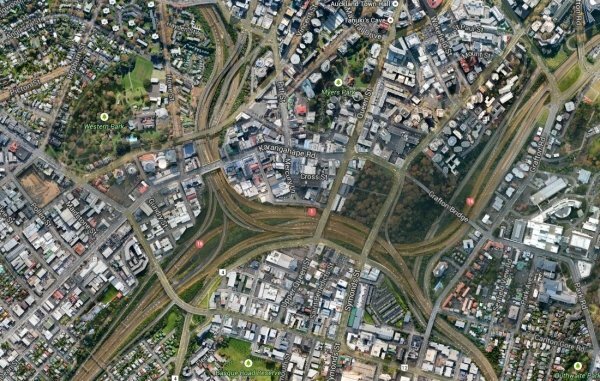 If you take the wrong exit there is only one place where you can immediately get back on (Nelson Street off-ramp); the rest of them require you to travel up to several kilometres before you can turn around. Over 200,000 vehicles use it per day and it is a bottleneck during weekdays. The completion of an alternative western route should alleviate some of that, but it won’t be finished until 2017. 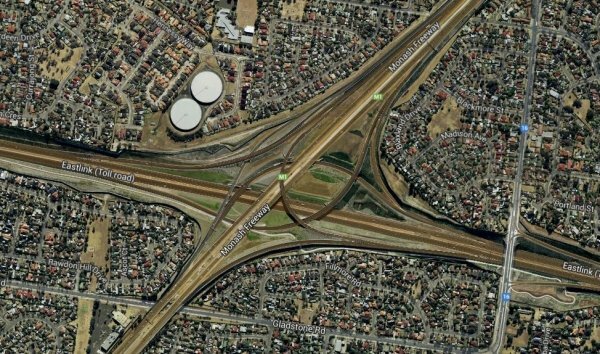 Heading over the ditch, Melbourne features an intersection between the Eastlink toll road and the Monash freeway in Dandenong North. Its feeder roads and ramps form an almost rotationally symmetrical design with multiple levels. 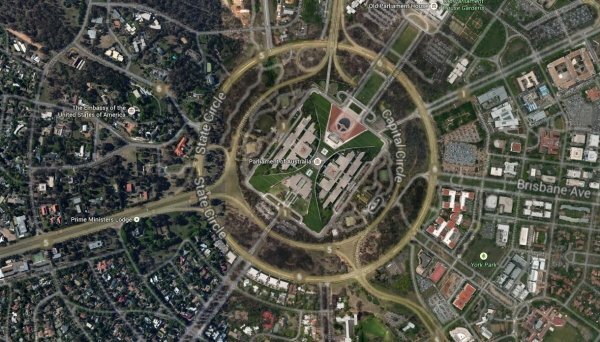 State Circle and London Circuit are effectively large roundabouts with multiple feeders. They are separated by a bridge over Lake Burley Griffin. State Circle surrounds Capital Circle which surrounds Capital Hill. Between them are a number of roads and cloverleaf connectors. London Circuit is a hexagon that surrounds City Hill and has a three-leafed clover intersection exiting to the south onto Parkes Way. 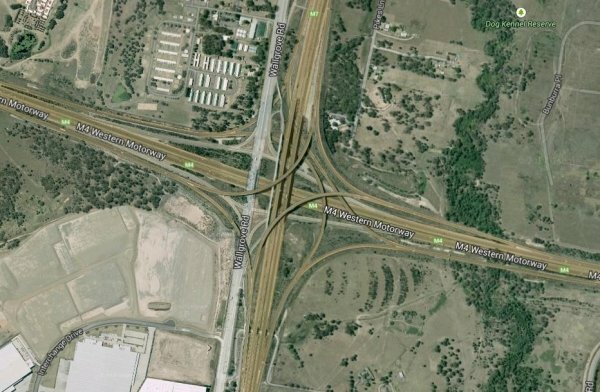 While Australia doesn’t have as many complex intersections as Europe or America, there are a few, like the ones mentioned above, and also the M4 and M7 intersection which, to make it even more tricky, incorporates Wallgrove Rd running parallel with the M7. 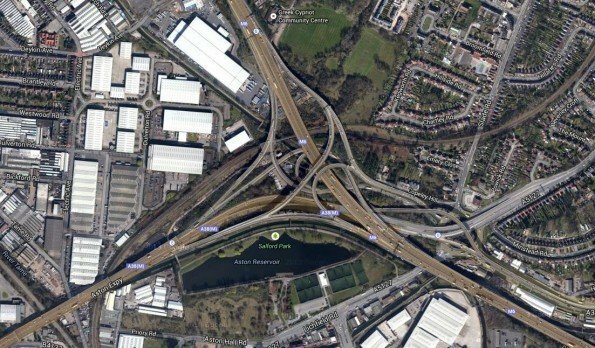 This was the original Spaghetti Junction, opened in 1972 with an imposing structure built on 559 concrete columns. It’s often cited as the most daunting to drive on in the UK, despite only joining the M6 and A38 in Birmingham. In places it is five levels high. Built in 1972, it consists of five mini-roundabouts arranged around a sixth central anticlockwise roundabout. The outermost circle carries cars clockwise, while the innermost is anticlockwise. Nervous drivers could technically navigate the roundabout solely in the outside lane, while more experienced drivers can be more efficient and use the inside lane (note: don’t confuse this with the ‘inside lane’ on a motorway, which is the left-hand lane). While it’s fairly easy to have an accident on this roundabout, the speeds are relatively slow so damage will be minimal. When it was first built, authorities weren’t sure of the best layout so they stationed a policeman on each roundabout to monitor traffic movement and make suggestions and adjustments. If the Magic Roundabout intrigues you, you can purchase an Magic Roundabout mug of it from Round-A-Bouts of Great Britain. It’s the perfect gift. 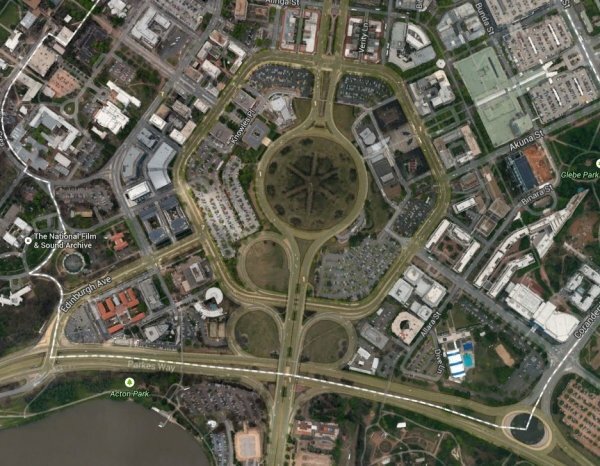 The world’s largest roundabout is in Malaysia. It is 3.5km in diameter, or about 11km in circumference. 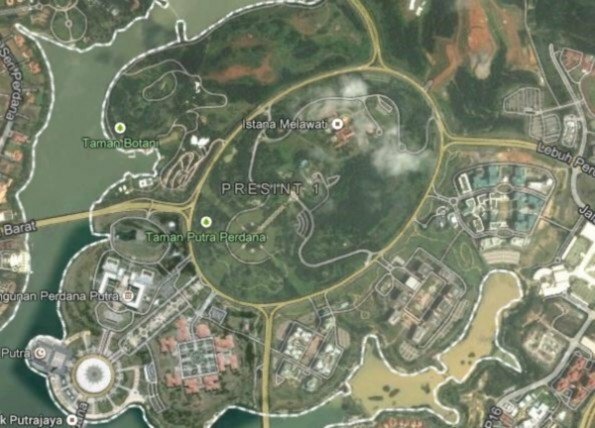 Within the roundabout is around nine square kilometres that contains a royal retreat (the Istana Melawati), the Putrajaya Shangri-La hotel, and the Petra Perdana landmark. Onto America, which is a land that panders to car owners like no other. If you’re running late for a flight, making your way around the Newark Airport Interchange is best left to an experienced cabbie. Sea World is having its troubles these days and this intersection is right up the road from it. 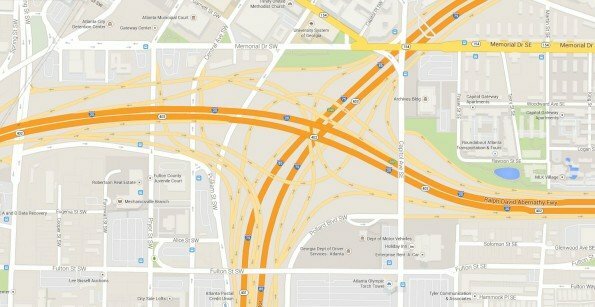 It’s really two intersections in one: I-8 and I-5, but also Camino Del Rio West and Morena Boulevard which some of the ramps bridge over I-5 and I-8. The Ralph David Abernathy Highway (I-20) cuts across I-85 between Capital Gateway and Mechanicsville forming a stack interchange three lanes high in places. Avenida 9 de Julio is the width of a city block, and that means seven lanes either side, with streets perpendicular to it ever few hundred metres, and dual-lane roads running parallel either side. It’s the widest avenue in the world, and getting in the right lane on this roughly one kilometre stretch requires some forward planning. China is experiencing some huge roading growth. Check out these two examples of intersections on G42 and G2, and G15 and S38. The later shows an excellent example of a symmetrical junction with figure-of-eight ramps.